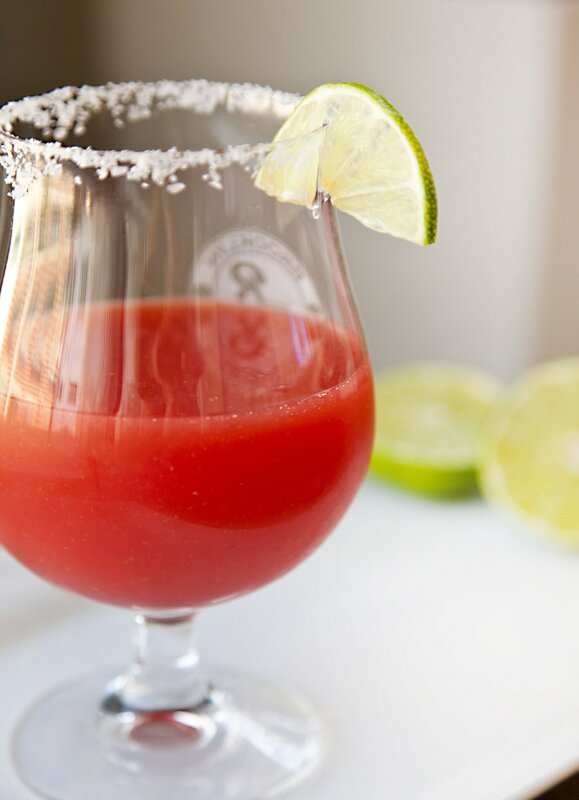 I do realize that this is the second post in a row that is about an alcoholic beverage, but as a foodie and chef, I feel the pairing of beverages with food is just as important as the food itself (I also just really like Tequila). Being the Fourth of July weekend, I wanted to do something Summer-y and festive….and considering it’s about 4 billion degrees outside, and feels like you’re sitting on the core of the sun, I also wanted something cold and refreshing. 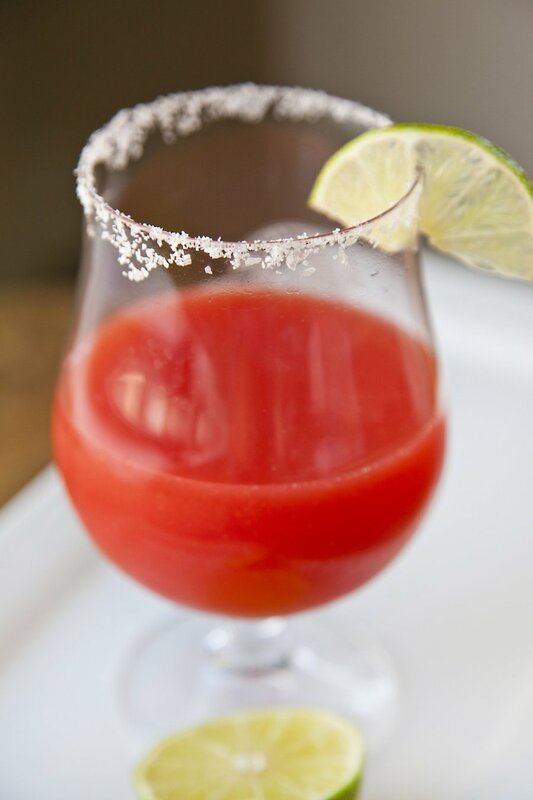 This is a great margarita to make in large quantities and serve at a party – or it can be made individually and sipped while relaxing out by a pool or on the beach! 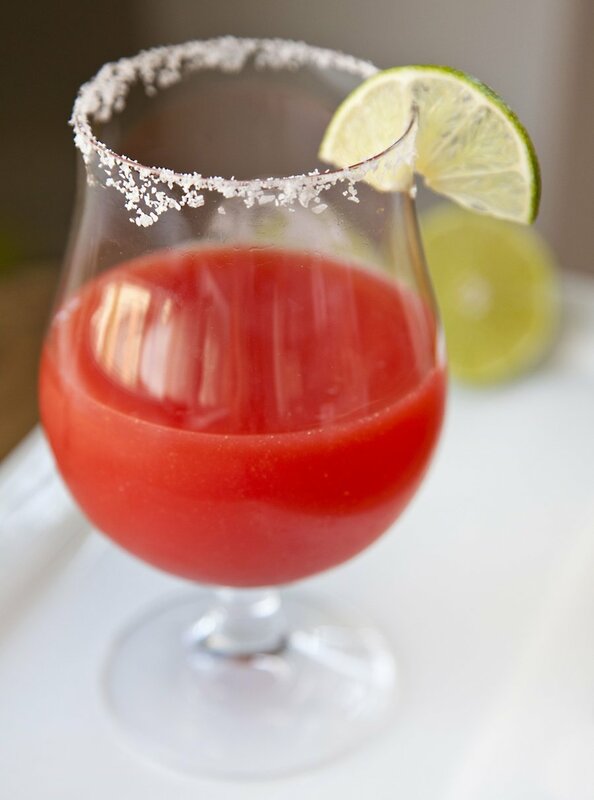 In a blender (like a Vitamix), combine your watermelon, strawberry, lime juice, tequila and triple sec. Blend for about 20-30 seconds until completely smooth. Rub the rims of two glasses with a little lime juice. Then dip in salt to coat the rim with salt evenly. Set aside. 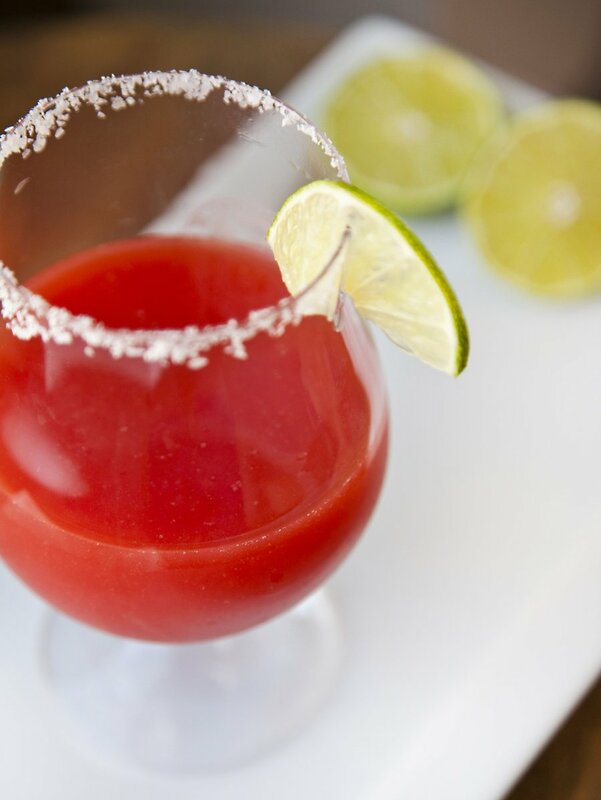 In a cocktail shaker, add 5 ice cubes and pour in the mixture from your blender. Shake for 10 seconds and then pour into the prepared glasses from step 1. Serve immediately & Enjoy!